Our Model 885 ADV-X high speed rubber door is made with special reinforced rubber, making it our toughest door in the ADV-X series. 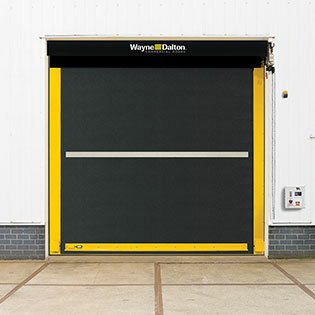 Constructed with 5 layers of NBR rubber and 4 layers of polyester weave, this door is capable of withstanding pressure of up to ±22 psf or 158 mph and can operate under pressures up to ±5 psf or 75 mph. Model 885 ADV-X is perfect for large exterior openings or applications with multiple cycles per day.